The mission of Optimus Learning School is to create an environment where students can develop a balance between discipline and critical thinking. We believe that it is important to think critically as an individual. Because the world is changing with technology and globalization, children should grow up to be innovative and be able to solve new problems. Yet, they should also learn how to work hard and be resilient when faced with challenges. That is why we want to help them to be balanced students. We teach our students both discipline and critical thinking so that they can be successful in every area of their lives and help make the world a better place. To read more about our philosophy, please click here. We understand how crucial it is to be able to work well with others in life. At Optimus, we start building these skills in our students as early as possible. We’ve all heard before that strong minds need healthy bodies. It can be difficult for students to get in enough exercise with their busy schedules, and they don’t always know which choices to make when it comes to their health. These kids are our future and, as such, we want to do our part to make sure they learn healthy habits. We currently offer a monthly healthy cooking class that students can sign up for in advance to learn how to make healthy snacks and meals. 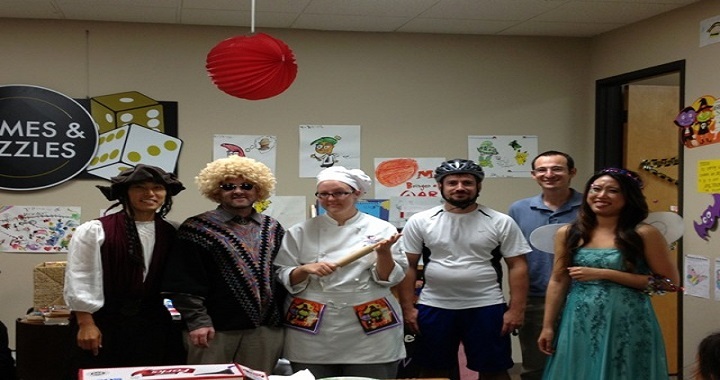 In addition, we invite students to attend local races and run with OLS instructors as a part of Team Optimus. We also put on our own mini fun runs at the neighboring park around the holidays. To aide in the world's effort to Go Green, Optimus employs an online paperless system called MyOLS that can be accessed online and is home to all of our course materials (homework, in-class writing programs, etc.). One great feature about this system is that it allows students to take their placement test, see their schedules, turn in homework, and have immediate and on-going access to their grades all online without wasting a single piece of paper. Optimus Learning School first opened in 2008 with only a book club program available. Now, we offer many different types of classes that cover a wide variety of subjects. With each passing year, we strive to create new classes and find more ways to support our students and help them reach their goals. Revamped the official www.ols.edu website with a sleeker, more modern design to accommodate the needs of our students. Applied to SACM.org (Saudi Arabia Culture Mission) as one of their ESL school choices. official Optimus Language School YouTube channel. Improved our social media platforms and further added to our collection of informative blogs to aid in recruiting potential students. Launched an e-Learning Prep Course for new students completely free of charge. Developed and Launched the new MyOLS APP—a convenient app for parents to keep track of their child’s grades, progress, and pickup status. Introduced a new Piano class for afterschool students with affordable price. Began work on launching a new Coding and Computer Science course for a new generation of tech oriented students. Implemented FBI and DOJ Background Check for all Optimus Employees. Added new vehicles to the Optimus Fleet of Pickup vans to accommodate more students and services. conference attendants to try out the program for free. Participated in the Long Beach Spelling Bee again this year. Continued to add more books to our e-Learning Library including modern adaptations of classic literatures. Filed for US patent for original e-Learning contents. Recorded new audio book options for students to enjoy. Began working on new features such as Video lessons and Tutorials. We continue to work on developing new curriculum for the new SAT with classes available starting Summer 2016. Optimus began building its social media presence on Facebook, Instagram, Tumblr, Pinterest, Yelp, and Twitter. Optimus began building a blog on the newly designed websites. We redesigned the websites for Optimus Learning School, Optimus Language School, and Optimus e-Learning School. Optimus launched its Abacus class to teach beginning arithmetic. Two Optimus students participated in the National Kids Spelling Bee in Long Beach. Teachers from Optimus volunteered as proctors at the MATHCOUNTS competition that took place at UC Irvine. for F-1 visas starting in January 2016. We launched our Saturday 9am-12pm study class for students who need a quite place to study or who need extra help. We began developing a computerized practice test for the new SAT format that will allow us to pinpoint students' strengths and weaknesses. Our very popular Summer Program ran for the third year in a row with weekly themes such as Animation Week and Space Week. Two Optimus students participated in the Long Beach Spelling Bee. One student placed 4th overall! Optimus hosted the Math Kangaroo test for the second year. Optimus launched the Optimus Coding Series. Optimus launched its Mechatronics class. Optimus launched the Kinder program. Optimus hosted Halloween Pumpkin Run at Tamarack Park in October. 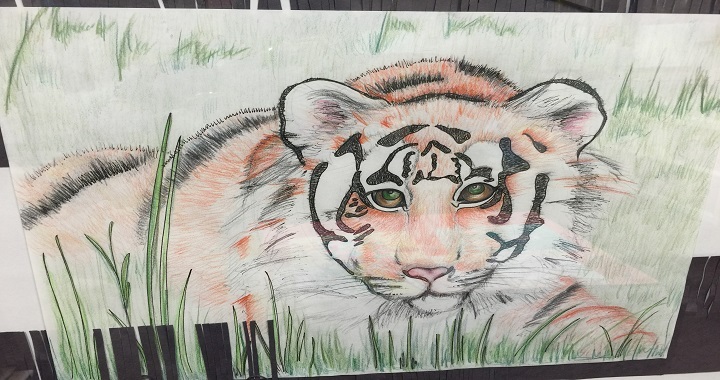 Optimus students participated in the AMC competition in November. Optimus launched two STEM programs: Robotics Engineering and Computer Programming. Optimus participated in and sponsored OC Math Field Day in the Capistrano district. Optimus students participated in a Math Kangaroo competition. Optimus participated in Math Counts at UC Irvine. Optimus students participated in the $1,000 National Elementary School Spelling Bee competition in Long Beach. Four new math competition programs were launched: Math Kangaroo, Math Counts, OC Math Field Day, and AMC. Optimus became a Math Kangaroo Testing Center. The Scripps Spelling Bee competition program was launched. Optimus launched the Phonics class for Pre-K and Kinder students. Optimus began offering Brea School Curriulum to accommodate Brea students’ needs. Optimus introduced a franchising option. Optimus began participating in the community service program at Someone Cares Soup Kitchen in Costa Mesa. Optimus began offering TOEFL prep classes. Optimus started offering online book & writing classes for students in Korea. Optimus went paperless for book club class using the newly completed MyOLS system. 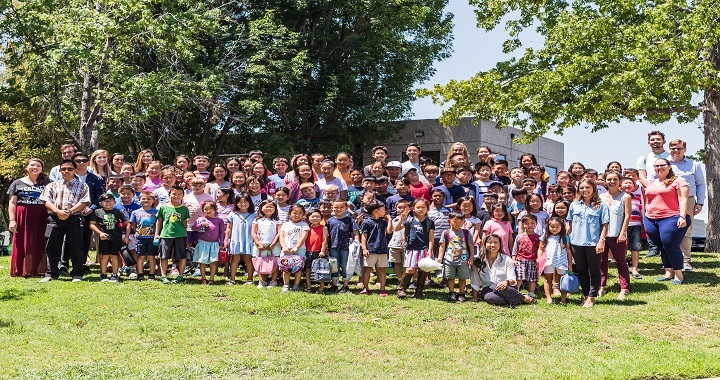 Optimus offered Summer Camp for students from Korea during summer vacation. Optimus offered a free weekly book club class at the Brea Library. Optimus donated hundreds of new books to the Brea Library. Optimus began offering science classes for high school students. Optimus began offering SAT & AP classes. Optimus began offering book club classes for junior high and high school students. 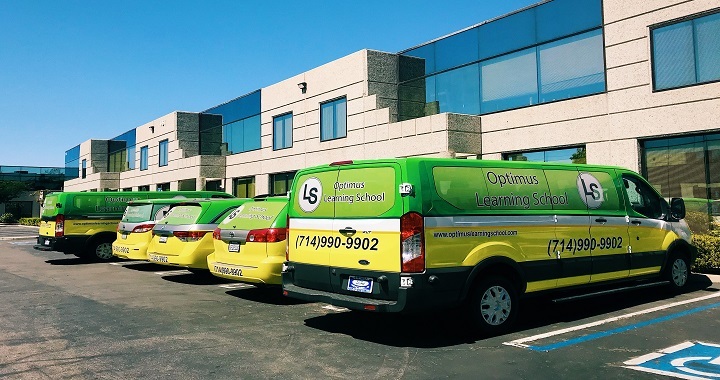 Optimus began offering math classes for elementary, junior high, and high school students. 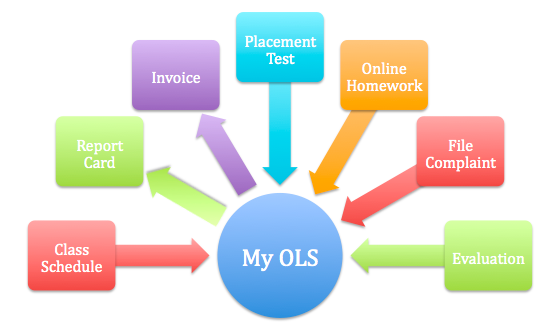 Optimus started building its MyOLS system, which is an online management system for use by students, teachers, and parents. Optimus Learning School was established in February. Optimus began offering a book club class for elementary students. It is important to Optimus that we give back to our community because we plan to be a part of it for a long time to come. I always look forward to volunteering at the soup kitchen! Because we know how vital our local libraries are to the people they serve, we took it upon ourselves to have a positive impact by donating hundreds of books to the Brea Library. We also offered free children’s book club classes to anyone who was interested to come read and discuss some favorite children’s books with an Optimus instructor at the library. There are many learning centers to choose from, but not all are created equally. Here are some reasons why Optimus is the right one for your child. At Optimus, one of our main goals is to encourage every student to work independently. Instead of spoon feeding answers to our students, we encourage them to come to their own answers and then deliver assistance from that point. Furthermore, we instill in each student the idea that academics are worthwhile, and stress to them the importance of being self-driven. Ultimately, this gives all of our students an invaluable chance to develop strong and lasting habits toward studying. While we at Optimus definitely strive to help our students achieve the highest marks in school, we also try to take it one step further. We do this by helping our students become effective critical thinkers. By guiding students to an answer with questions rather than quickly supplying the answer, we build the framework for critical thought. In doing this, we provide our students with the necessary tools to come to answers independently through careful thought. We know that, even when kids are at play, there are more and less constructive ways that they could be spending their time. For this reason, we encourage our students to play card and board games with each other during break time here at Optimus. While cell phones and tablets are amazing tools to aid education, over use for recreational purposes can stifleimportant opportunities for interaction. 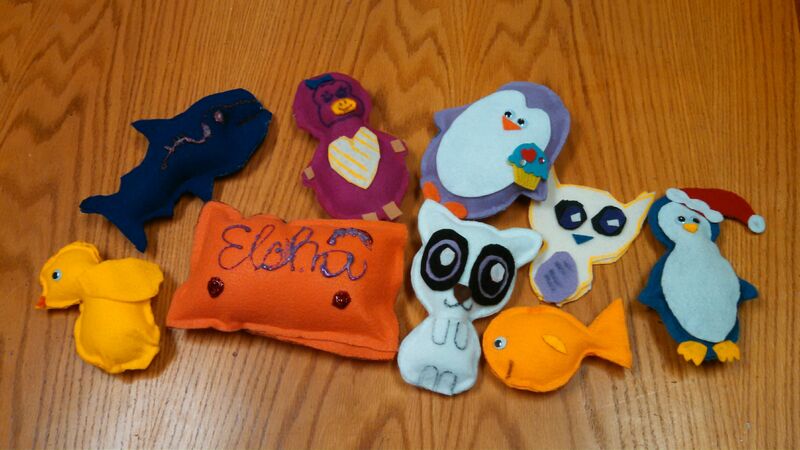 By instead playing the games that we supply, students have a chance to think, communicate, and spend time together. Other after school programs tend to hire college students, but at Optimus, we do things differently. All employees are required to have a bachelor’s degree as a condition of employment. This helps to ensure that all of our employees are driven and capable of achieving long term goals, and, in turn, they pass these high moral standards onto our students. A number of our teachers are employed with Optimus full time. This is typically not the case with after school programs, where jobs are almost exclusively given on a part time basis. By offering full time employment, we can better ensure that our employees have not only Optimus’ best interests at heart, but also your student’s. For your own convenience as well as our convenience here at Optimus, we keep thorough and detailed online records. When available, we collect student’s standards test and report card scores, and document them online. If a parent needs access to any of the information we keep on record, they can simply arrange a meeting with the director. This is another step we take to keep better track of how all of our students are doing at school. All of the information for the Optimus enrichment courses we offer can be viewed online through your son or daughters student portal. Here you can see what your student did in class for the day and view any grades that were given for an assignment or test that day. In addition, our teachers take the time to leave helpful comments for your student. These could be comments explaining a low score, behavior issues, or anything else the teacher of the class feels you might need to know. Your student can also access their homework through this portal, and this is really one of our online platform’s most convenient capabilities. Students no longer have to worry about their homework, because it will always be just a few mouse clicks away for them to download and view as often as necessary. To keep track of your student’s course load here at Optimus, we provide a digital calendar to every student with their enrichment classes listed. Scheduling can become confusing at many other after school programs. When is my student’s class? Who is teaching it? These questions are easily answered through our online digital calendar. Should a class be added, removed, or edited, all you or your son or daughter need to do is look online. We know that, as a parent, you are interested in your student’s education. All Optimus study rooms come equipped with cameras that are connected to the online app. Through this app, you can view your student’s class from the comfort of your home on a PC or laptop, or even from your mobile phone. Send your son or daughter to Optimus knowing that you can be a part of the process anytime! While cleanliness is often overlooked at other after school programs, we here at Optimus take the cleanliness of our facilities very seriously. We want to provide as much peace of mind as we can in every way, and the sense that your son or daughter is coming to a clean and fresh smelling environment every day is part of that. Vacuuming and restroom cleaning are daily tasks here, and we clean more extensively on a weekly basis. It seems typical fare of other after school programs to have noisy and overcrowded facilities. This is severely detrimental to the learning process, and we avoid that at all costs here at Optimus. We occupy not just one, but two buildings. While we utilize one of our buildings for junior high and high school level learning, the other building is entirely reserved for elementary learning. This eases the minds of our younger students that can sometimes be extremely shy around other students that are so much older than they are. Furthermore, each learning environment is much improved through the use of two buildings for two main reasons. First, the amount of study space each student has to work in rises greatly since having two buildings means we essentially have twice the amount of space for each student. Second, we can control and maintain a quiet environment for your son or daughter to study in when there aren’t as many students in one place. We believe the atmosphere of an after school program is one based not only on personal achievement but also on personal discipline. We set the standard here at Optimus that all students are welcome, so long as they have a great attitude toward learning. With that in mind, in the event that unfortunate behavior issues become a consistent problem in any one particular student, we may ask them to leave. We’ve made this a priority at Optimus since our ultimate goal is to ensure that every student grows in the environment we have created for them. Eliminating this element from our program means that our teachers need not spend their time settling behavior issues, but rather they are able to focus on our students that are most eager to learn. We have built a library of great books with multiple copies of each so that we can use them for book club classes. These books were chosen for their literary merit and interesting, engaging stories. When we begin reading a new book, each student is issued a copy to take home and read. On the day we finish discussing the book in class, students return their copies to the teacher in order to receive the next book. We charge a one-time fee of $10, which will cover the cost of purchasing a new book if one is damaged or lost. Are you interested in seeing Optimus grow by opening a franchise location of your own? View the information below to find out if this is the right opportunity for you and how to get started! Once you have filled out our registration form and signed your child up for a class, we will create a student account for the child and give you an ID and password. By going to www.optimuslearningschool.com and clicking on MY OLS in the top right corner, you can sign in to the student's account and access the student profile, the class schedule and homework, and the monthly invoice. Clicking on the class schedule will take you to this month's calendar to see the classes your child is taking. By clicking on any of the class sessions, you can see your child's grades, a description of what students went over in class that day, and any teacher comments that were made about your child. Separate accounts will be made for each sibling. *Please click here for My OLS (Website) manual. For your convenience, Optimus Learning School offers parents an application that they can download, which is an easy way to stay informed about the following items: new programs and special discounts being offered, viewing your child’s class schedule, your child’s progress in the courses they are attending, confirmation that your child has been picked up from school, and to see that your child’s homework has been completed in the after school program. Download the OLS application today to stay updated on your child’s experience. For more information, read our blog. *Please click here for My OLS APP (Mobile) manual. We have an open-door policy and communication style here at Optimus that allows us all to work together cohesively to make Optimus the best place to work. Through periodic meetings, each employee can have their ideas heard. This is also a place that provides great opportunities for advancement. A strong desire to teach! Attend two interviews and deliver a mock lesson. Your first interview will be with the Director, and the second interview will be with 1 or 2 Assistant Directors. If your interview responses have been satisfactory, you will be asked to prepare a 10-15 minute mock lesson. The Assistant Directors will make a recommendation to the Director, at which point a hiring decision will be made. Once you have officially been hired, you will receive our New Employee Training Guide and will need to read the Faculty Handbook and other training materials. You will engage in one week of paid training, during which time you will be observing one or more of our experienced teachers and will meet with an Assistant Director to go over your observations and any questions you may have about our programs. Following your training, you will be assigned to take on specific classes and duties for which you will be responsible. Quarterly evaluations take place in March, June, September, and December. Depending on the results of your first evaluation, you may be required to complete some type of professional development. 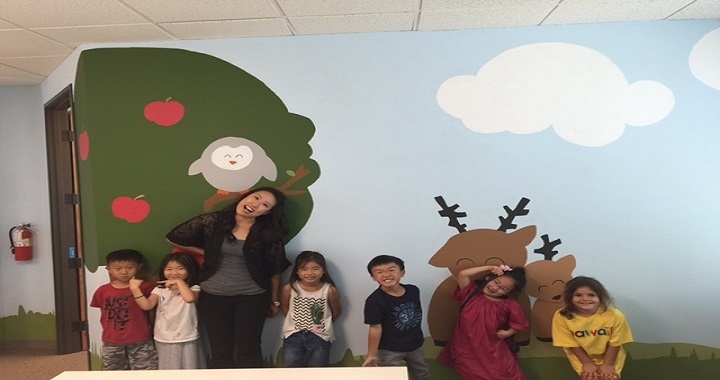 If you would like to join our team, please send your resume to info@optimuslearningschool.com. Prior to hiring any new employees, Optimus requires that a background check be performed on the applicant. This means that the applicant must get fingerprinted at a government-approved fingerprinting facility, which will allow Optimus access to the applicant’s criminal history. Providing a safe environment for our students is of utmost concern for Optimus and is taken into account when making each and every hiring decision. For more information, please read our blog.